In addition to concerns about greenhouse gases and pollution, there are many reasons why a growing number of urban dwellers are opting not to buy their own car: a chronic shortage of parking space, soaring insurance and upkeep costs, and high fuel prices. Many prefer to use the well developed and efficient public transport systems found in Germany and other countries. “In towns and cities, young people don’t necessarily want to have a car,” said Stefan Bratzel, director of the Center for Automotive Management (CAM) in Bergisch-Gladbach. They still want the convenience of a car, without the financial burden of owning one. Yet they do not want to have to use traditional car-rental firms every time they decide to go for a spontaneous jaunt into the countryside. Further afield, there are around 700,000 users in Japan, which started car-sharing schemes in 2007, and 1.3 million in the United States, according to recent data published by the University of California in Berkeley. Gunnar Nehrke of BCS said that Germany stands out because of the sheer size and extent of its network. 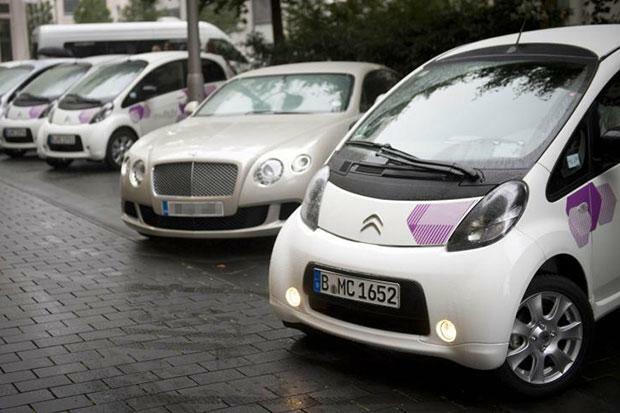 “In many countries, there is car-sharing in the capital, or two or three of the biggest cities. Here, car-sharing is available in 490 towns and municipalities,” he told AFP. BCS predicts the number of users in Germany will rise to 2 million in the next five years.